Walsh Whiskey, has announced the launch of a new expression from its Writers’ Tears range of Irish whiskies. Writers’ Tears Copper Pot - Deau XO Cognac Cask Finish (46% ABV) is a blend of aged single malt and aged single pot still Irish whiskeys, which have been finished for 9 months in French oak casks that previously held Deau XO Cognac. The Deau XO Cognac Cask Finish, which is the fourth release in the Writer’s Tears range, is said to deliver notes of poached pear, summer berries, freshly pressed grapes and citrus zest on the nose. Followed by a creamy smoothness and rich chocolate undertones on the palate. Last month Walsh Whiskey announced that it had demerging its joint venture with the Italian drinks company Illva Saronno, which saw the Irish company take full control of its Writers’ Tears and The Irishman brands. 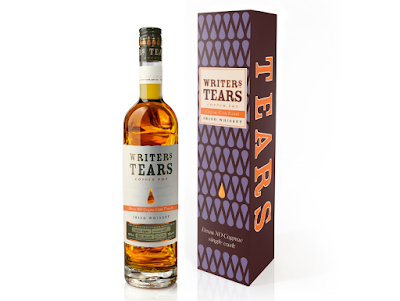 Writers’ Tears Copper Pot - Deau XO Cognac Cask Finish, will be available later this month in selected markets, including the UK, Ireland, USA, Germany, Holland, France and through Travel Retail, for a RRP of £67.99.